This feature allows you to turn on some advanced security options for your smartQ account. 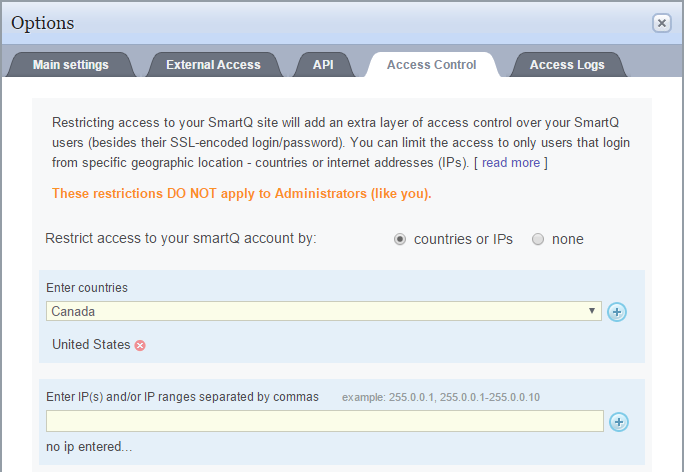 You can view who, when and from where accessed or tried to access your smartQ site. This feature is located in the "Options" menu — Administrator access required. These access restrictions do not apply to Administrators.